LYON, France, July 25, 2012 – Carrier has reached a significant milestone with the 400th installation of its CO2OLtec® refrigeration system in a new Carrefour Confluence hypermarket in Lyon, France. 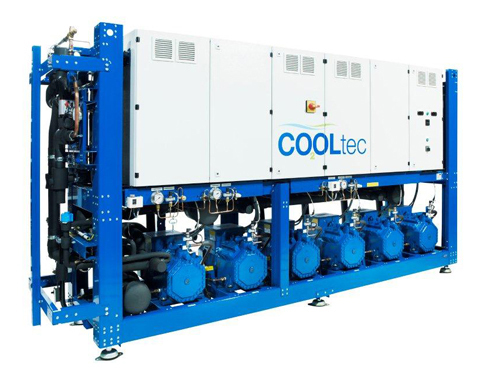 The environmentally sustainable CO2OLtec concept uses a natural refrigerant and reduces CO2 emissions. To date, Carrier´s 400 CO2OLtec installations have reduced CO2 equivalent emissions by 102,000 tons – the equivalent of removing 29,900 cars off the road. “The CO2OLtec project is consistent with Carrefour objectives to validate new technologies enabling significant reduction of greenhouse gas emissions. This innovative refrigeration system is a key contributor to the very low global warming impact of the shopping center in which the Carrefour Hypermarket is located,” says Mr. Fleury, Carrefour Group asset director, strategic projects. This entry was posted in airconditioning, low carbon emission, product innovation, smart commercials and tagged smart cities, smart city by smartcitystudio. Bookmark the permalink.